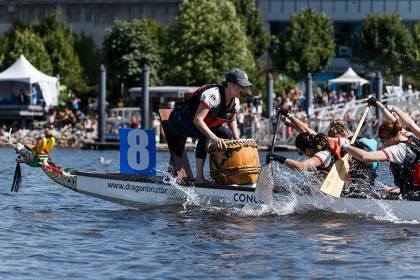 This past weekend was the biiiiiig dragon boat festival! We spend all season gearing up for this festival, training! training! training! Rio Tinto is the largest dragon boat festival in North America, teams comes from all over the world to compete, it is a big thing in the dragon boat world. I absolutely love this festival! 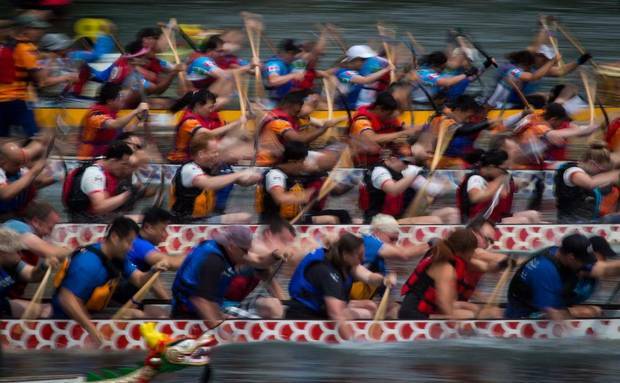 Not only are there 160 dragon boat teams competing against each other for coveted medals there are food vendors, booths set up with free samples, coupons, random information about all sorts of topics, live performances, this festival has it all! It is one of things I look forward to all year. The weather on Saturday was perfect! Sunny, warm but not boiling hot, abso beautiful! 🙂 I’ve competed at this festival when the weather is cold and pouring rain so the warmth and sun was much appreciated lol. I of course was coating my exposed skin in 110spf sunscreen and wearing long sleeves and pants, oh and a hat! lol I look like I hate the sun, and I kinda do because of how easily I burn, but I also don’t, I just hate the UV rays that try to not-so-slowly turn me in to a lobster, shrug. 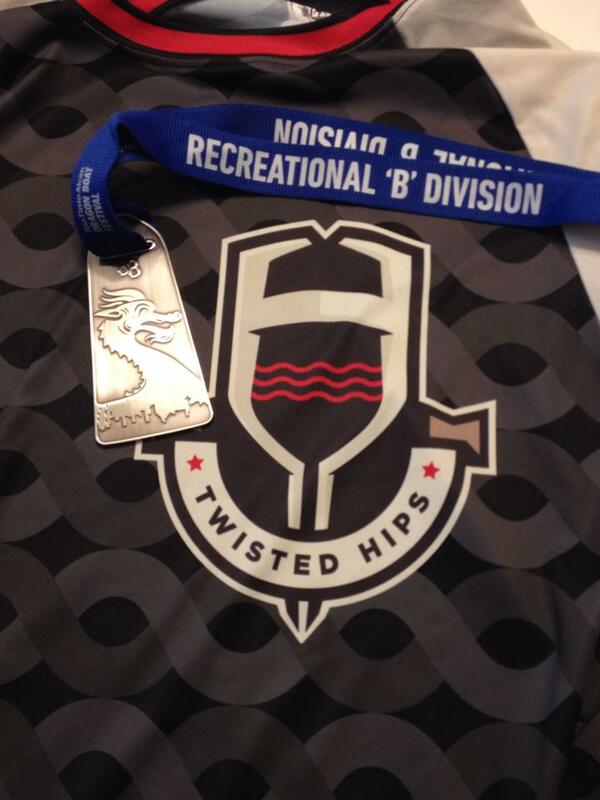 Our race times on Saturday were strong, 2:06 then 2:05. They put us in a nice solid position for day two of racing which (obviously) is important. Sadly I can’t tell you much about Sunday, sigh. By the time I went to bed Saturday I had a fever, no voice and an upset stomach. I kept telling myself “you are not sick, you’re just tired” but no matter how many times I said that to myself I really was sick, not just tired, sigh. I woke up in the morning after a night of crappy sleep to the realization I was too sick to paddle, heck, I was too sick to get out of bed. 😦 I debated still going, pushing myself, I was hoping maybe I would feel better once I was up and moving and there but I know better than that, if I can’t manage to get to the sink to get a glass of water no way I can keep up in a race piece and no way in hell am I going to risk my team winning a race because I insist on being on the boat. Damn self-sacrificing instincts, sigh. I didn’t take any pictures of the festival on the Saturday because I was planning on taking them all on the Sunday, a decision I now greatly regret, sigh. So here are some pictures I stole from facebook and the media images that were used in papers and websites…that’s right! We made it in to media footage!